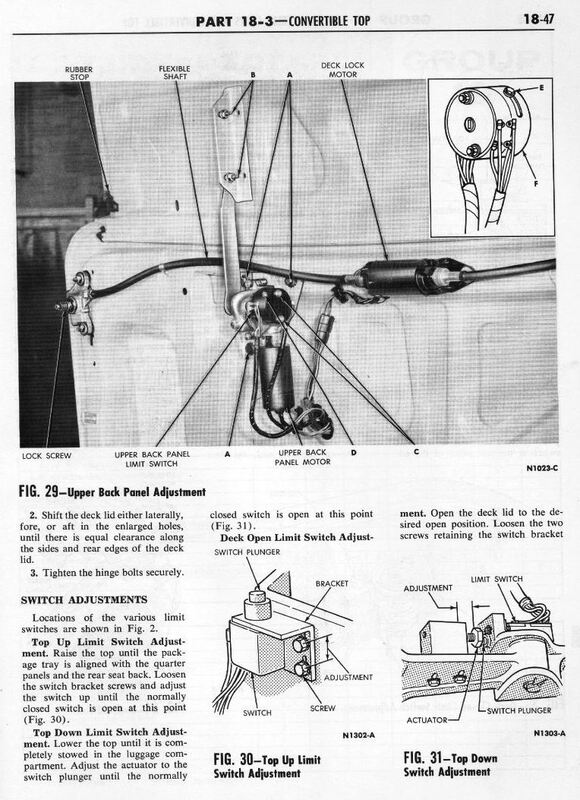 The following instructions are for the 64 thru 66 convertible limit switch adjustments. 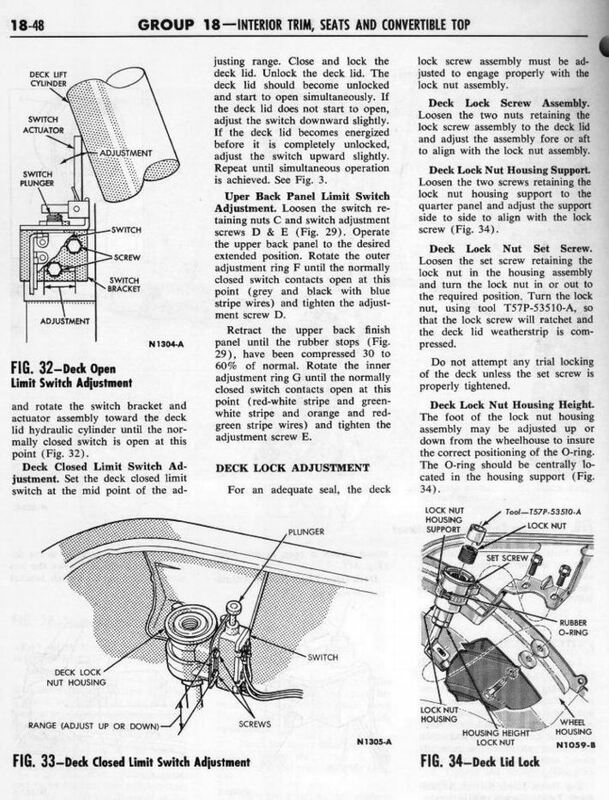 The information has been taken from the 64 Thunderbird shop manual. It should be the same for all three years. One caution though. On the upper back panel limit switch, check to see if your wires match those in this set of instructions. If they do not you may have the replacement switch on your car that was originally manufactured for the Lincoln. Ford used this as a replacement for the Thunderbird one after the original supply ran out. If you have the Lincoln switch you will see that a couple plugs have been cut in half and connected to different connectors. If this is the case you will need to follow the instructions in the Technical Service bulletin #766. To view this bulletin Click Here.